← Globalists Lament – Globalization Increasingly Unlikely: instant mass communications such as radio, television and the Internet,” have been cumulatively stimulating “a universal awakening of mass political consciousness”…. Listen closely to how the media and the administration are talking about Medicare “overall”. Listen to them begin to talk about how structurally flawed it is – not just financially, but in substantive structure. Listen to them, the administration and the media, describe the fraud that exists within the Medicare program. Listen to the specific word choices. Listen as they describe the feasibility of cutting the cost of Medicare by addressing the payment side (reimbursement) of the equation, and how they will NOT have to increase payments into the program. 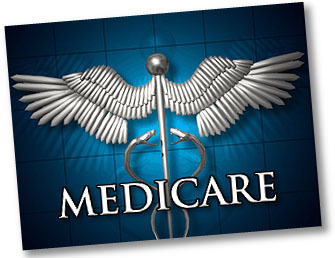 Listen to how they maintain the premise that Medicare Program is structurally sound – it just needs “tweaking”, and they can cut the “overall” cost of the medicare program without hitting the beneficiaries up for increased contribution rates or structural changes to the program. IT’S A TOTAL RUSE – A SHAM – A FRAUDULENT TRAP ! The Feds will, as soon as Obamacare is FULLY in place 2016 – Begin to tell people it is inefficient for two simultaneous Healthcare Programs; One for the elderly, one for everyone else…. They will tell you it does not make sense and with the economies of scale and synergy both programs can be molded into one. They will tell you it is too burdensome to have simultaneous systems, with providers having to navigate the minefield of duplicate but divergent systems, forms, processes and methodologies, etc…. It is just “common sense” to merge the two programs into one unified healthcare system. That is the substance for the Democrats’ CURRENT, albeit unspoken, position. That is the basis for their approach from this Fiscal Cliff “forward”. Medicare will be eliminated and melded into Obamacare. One system. Watch, and listen for the tell-tale signs. They are becoming more obvious by the day. This entry was posted in A New America, Dem Hypocrisy, media bias, Obama re-election, Obama Research/Discovery, Obamacare, Typical Prog Behavior, Uncategorized. Bookmark the permalink. A world gone mad where right is wrong and black is white. I will not comply. But i will play their game! Now.all of you go to work so i can get my entitlements. Everything i have was paid for by the government. Thank you but i need more! Dont you dare disrespect me your the fools working and giving me your money. Do you think i can force people into action? Think the libs want to hear that coming from a welfare recipient? Uh… I thought that was the goal all along. This is a revelation? The goal is also to overwhelm the the insurance industry with claims, they’ll screw it up, the politicians at the time will demonize them, and then call for the “single payer” system. What will be done, will be done. There is nothing anyone can do to stop or even slow the terminal phase of Obama”s post American world. The Constitution, Bill of Rights the flag and the name of the country will all change The progs/democrats are going to destroy the United States in detail. No. Principled Resistance is absolutely key. There is much more to be done other than the two extremes of passively “watching” or armed open rebellion. I purpose that the term “lemmings” be edited to “demmings”, because only they would wilfully ignore this and march “forward” to their own demise; and to the few who may snap back into reality, remember demmings, YOU VOTED FOR THIS! I’m glad my daughter was born before Obamacare. She was in NICU for 3 months. Will they just let preemies die now? Frightening. I’m guessing my father wouldn’t get the surgery he is scheduled for either. These are people who kill full term babies immediately after delivery, either by locking them in a closet to die, or like the butcher Kermit Gosnell, by severing their spines with scissors. NICU? Don’t make me laugh. FWIW, my husband was a very early premie back in the 1960’s. I’m glad people didn’t feel he was “expendable”. We got lucky in a sense. My wife’s doctor had two offices. Her appointment that day was across the street from a premier neo-natal unit. The guy that runs it had just moved to the “burbs” because of Chicago liability laws. In the future, many will die needlessly. It’s not just preemies who will die. The Liverpool Care Pathway decides, on its own, aka bureaucrats decide, who is too expensive to live. This means the elderly who have treatable conditions like pneumonia will die. The sick of any age who need expensive medication will die. The way they kill in their hospitals is by refusing nutrition, food and water, to those they want to kill. Those who are not hospitalized won’t get the medication they need. This is “universal care”, equally bad for everyone. This is what’s coming to the US with Obamacare. Will this start a shooting war when lots of people’s relatives are murdered this way? Who knows. But by then gun control will be well underway also. This already is SOP in Canada. Certain procedures are given annual block funding. For example, a cardiologist might be funded for 12 pacemakers. If you’re patient #13 and you need a pacemaker, you are doubly unlucky. None for you. And yes, things like transplant surgery are not extended to those considered past their “working prime”. A “waste of resources”. Very scarey. Where were the voters? I know my doctor is considering a private plan. Pay a fee per year type plan. Ah, they voted for it. It was the classic frog-in-water strategy. They incrementally stripped away expectations of what should be provided along with scare tactics about funding, resources, etc. Everyone was brainwashed into believing that less for everyone was better than excellence for most. And through the schools lecturing endlessly on “social justice” issues, people began to accept that it should be “free” (it’s not, the taxes and levies are insane). A pediatrician was just hounded and put out of business by the College of Physicians and Surgeons which regulates the licensing of doctors for daring to offer a private fee plan that her patients clearly wanted and were willing to pay for. And so much of it is stupid. Doctors can’t bill for phone calls, so they won’t answer the phone to speak to patients, if you want to ask them a question, you have to make an appointment and go in to be seen, so they can bill the government for it. Before the 2008 election, I went door to door trying to warn people about Obamacare, and explained many first hand examples of the horrors of a single payer system. The Obots screeched at me that I was a “hater”, that my examples were “lies” and everyone “deserves” “free” healthcare because it’s a “right”. I tried. Now they’re on their own. The minute I saw how much money was being taken from Medicare to “fund” obamacare, I knew that Medicare was going away…after all, there is no point to having both programs. I said as much on another blog site. Besides, that’s what the “death” panels are for…to determine whether granny or gramps (or someone with a pre-existing condition) needs to have expensive life-saving/life prolonging surgery, or just give them some pills. Don’t forget…Obama did talk about that in a press conference in 2010 before congress passed obamacare. The simple view that the liberals use is that if you have everyone in a big insurance pool, there will be more money in the pool. However, they do not consider that 12% of the pool has pre-existing conditions…and that 12% uses 80% of the money in the pool. By any account of the math, obamacare is a failure…of epic proportions. No feelings at all, Hub. They’re gonna kill Grandma by denying her treatment and keep the Medicare monies that might have saved her. Evil, wicked bastages from Hell, they are. They don’t know that and even when we told them, they’d disreguard it as “reich-wing (cause we’re totally like the effin’ nazis, /endsarc) lunacy”. Single payer was always the holy grail, going back all the way to the 1930’s.